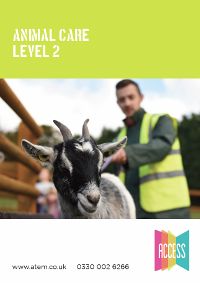 This Apprenticeship is perfect for anyone wishing to work with animals. Generally, work in this industry deals with the health, welfare, handling and supervision of animals – whether that’s working in a zoo or wildlife park, or for the RSPCA. It’s a dedicated profession as animals need to be looked after 365 days a year. Your Apprenticeship will vary depending on your employer, but you could learn about health checking, basic animal training, transporting animals, feeding, watering and exercising animals, advising customers and owners, or maintaining a clean and safe working environment. Please visit our vacancies page to see if we have any current animal care apprenticeships. Alternatively, if you wish to express your interest in doing a course then please complete our application form and we will be in contact with you.